Rainy days tend to make you feel like just staying at home and cuddling up. But what if there's a special occassion (like a birthday) on a wet and wooly day? Then throw the ultimate comfort party--a soup buffet. Here's how to set up your own "soup kitchen" in the comfort of your home (PJs optional!). 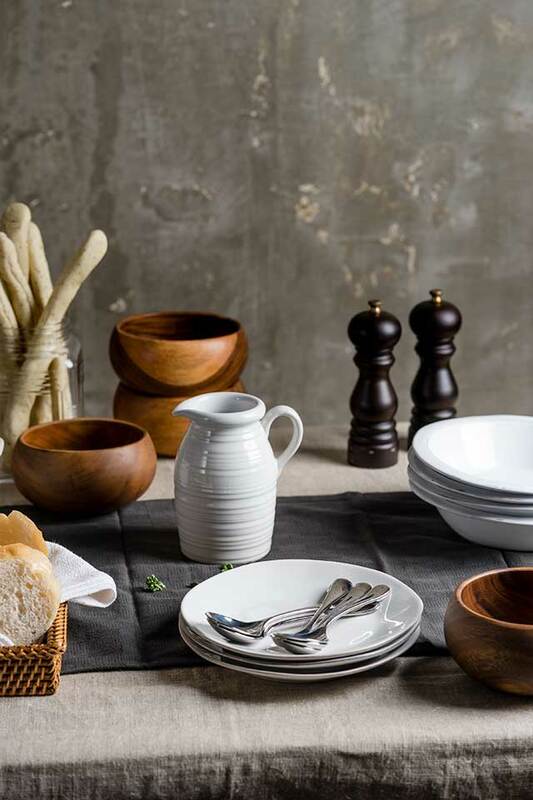 Pare it back by dressing down your table in simple natural linen for an earthy and comforting feel. Go for white, black, wood, or stainless steel containers. 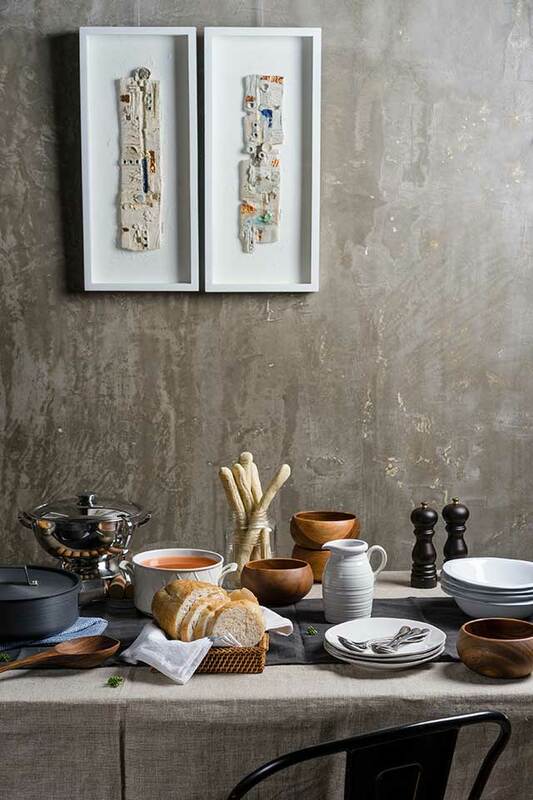 Make your soup buffet family style; place pots for two or three soup types on a sideboard nearby. 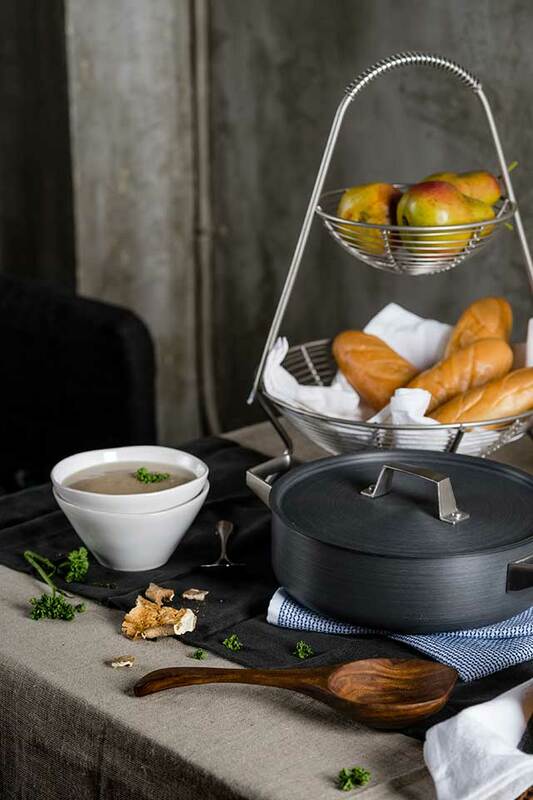 Choose pots that are big enough to serve the number of guests. Cast iron and clay pots can hold the heat ofr a longer period of time. Match your bowl to your soup type. 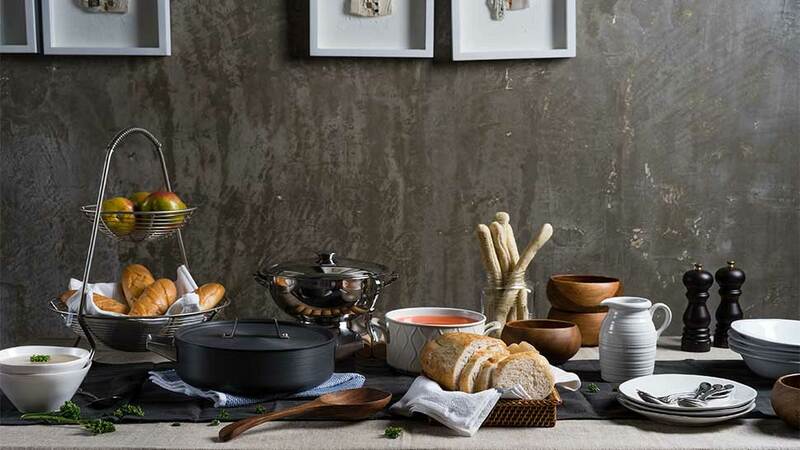 Choose a wide, shallow bowl with a flanged rim (officially called a soup plate) for more formal, sit-down gatherings. 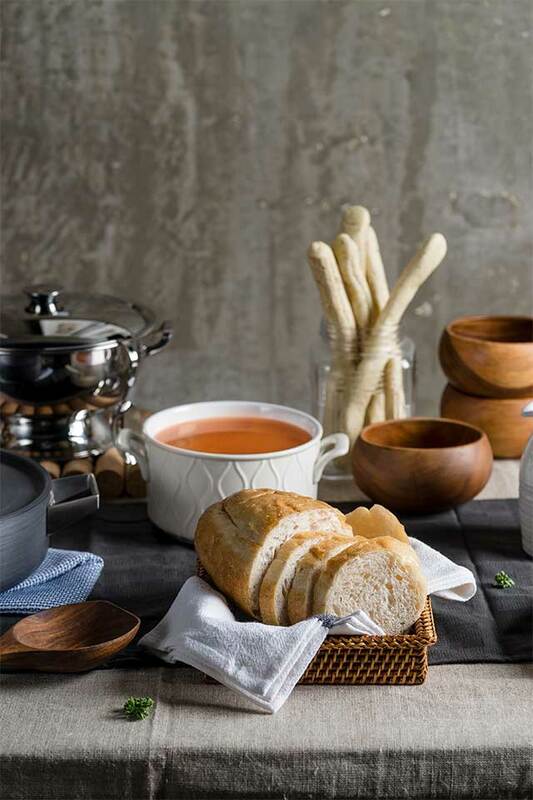 For casual get-togethers (like this one), choose bouillon cups, round cereal bowls, or soup mugs. Bring out two types of spoons: the cream soup spoon, which is a bigger spoon that you sip from the side and which holds thicker soups; and the bouillon soup spoon that is used for clear soups and consommes.